Willoughby in his element! 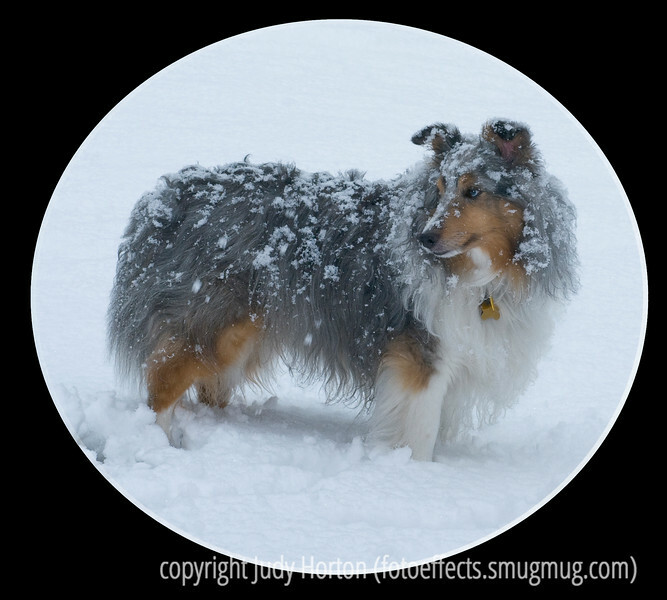 Willoughby, our blue merle sheltie, loves the snow. He never seems to get cold, no matter how long he stays out. Today is supposed to be warm here, so we're expecting most of the snow to melt. Our daughter and her family are still without power, though. They bought a small generator today so they could run a few appliances. Thanks for the comments on my roseate spoonbill. Take care, everyone, and best wishes especially to Betsy. Get well soon! Gorgeous portrait, we have two older dogs, and they are a handful, both of them spoiled. But Annie is never cold, reminds me of Willoughby. He does look like a happy pup! Great shot. Love this portrait of Willoughby...when was it taken? Great shot. Love the presentation. Really, really cute shot and pooch !!! Like the regal pose ! I don't think he could be any happier.